All of which is to say that, with compelling work in such abundance, it’s sink or swim at Rotterdam. And while I may have managed to steer clear of a panic attack, I did have an acute sense of my neophyte status at this annual cinema pilgrimage. I’d like to think it explains, at least in part, why I found myself gravitating to the films of strangers – not necessarily strangers to the festival circuit, though there were some noteworthy new faces, but rather strangers in the sense that they were outsiders in the contexts in which they chose to make their work. Most of these films were to be found in the newly minted Spectrum: Shorts section of the festival, where the core of short-form experimental and documentary work lived. Indeed, as many festivals’ space for the avant garde shrinks, IFFR has continued to demonstrate a strong commitment to new forms of cinema, showcasing filmmakers with experimental tendencies from all corners of the globe. As far as style, technique and subject matter, one would be hard pressed to find a more varied group. Locations featured ranged in obscurity from remote villages in Suriname and the Ukraine, to a military-style shooting range in the southern United States. In their diversity, these films offer a strong indication that non-conventional forms continue to offer the most stimulating and intelligent representations of the world around us. One of the first films I encountered was Tarabatara, the endeavor of Julia Zakia, who located herself within a camp of gypsies “somewhere in the sertão in Brazil”, according to the festival catalogue. 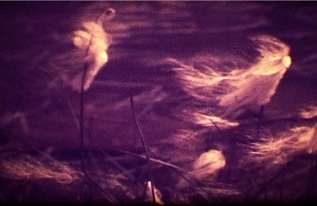 Her meandering super-8 camerawork seems well-suited to her peripatetic subjects. The pictures wash over us: a little girl’s eyes, a cockfight, some chores. Fragments of sound surface – a television, a fiddle, the playful cries of children – lending the atmosphere a dream-like quality. But it’s impossible to overlook the abject poverty in this place, and Zakia thankfully, though somewhat awkwardly, intersperses her evocation with the sharper reality of video. Here elders of the camp alternately complain about and defend their way of living. We feel Zakia’s presence behind the lens, framing and reframing, working hard to humanise her typically reviled or romanticised subjects. Her atmospheric portrait reads as part homage, part gesture of reconciliation. Still, we might long for something more incisive. British filmmaker Stephen Connolly’s meticulous short essay Más Se Perdió (We Lost More) transports us northwest to the Cuban capital of Havana. Where Zakia drew us a warm bath, Connolly offers studied distance; we trade in subjective camera work for the considered framing of a formalist. 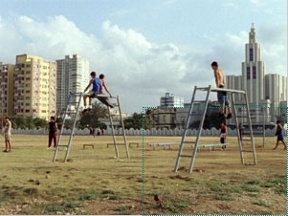 His images accrue through repetition: the ruins of the National School of Ballet, workers fixing a street corner, young men hanging out on sports equipment in a park. Titles indicating time and place divide these scenes. Finally, our observations coalesce in a quote from architectural historian Roberto Segre: “Hypotheses for the future are converted into utopia, into fiction. Reality is materially conditioned”. In his sparse and elegant film Connolly imparts in the space of 14 minutes what for others requires hours or hundreds of pages. Yet the film’s structure is ultimately a closed circuit, leaving scant room for the viewer. The stimulating potential of more open form is on display in Now Wait for Last Year, made by another Briton examining a Communist paradise lost. Rachel Reupke, known for her uncanny video dispatches from vaguely familiar locales, has sent us mutant postcards from Beijing. Live video is fused with a series of dramatic, socialist-style paintings of architecture to create a bizarre, expansive urban landscape. On a basic level, these tableaux – each separated by a corny wipe fade and the crashing sound of a gong – introduce uncertainty in the viewer, causing us to question our perceptions, and preconceptions, of time and place. We develop a heightened awareness of our compromised position as distant observers, gleaning information from third-party sources. Even as it quite literally pierces China’s idealised self-image, Reupke’s video allows that reality lies somewhere between projection and perception. Kempinski, shot in Mali by French-Algerian artist and first-time filmmaker Neil Beloufa, further unsettles notions of cultural representation. In this grainy nocturnal video, men emerge from the shadows grasping electrical lights and address the camera with strange anecdotes and inexplicable wisdom: one tells of his marriage to a cow; another declares, “The car speaks, the dog speaks. We do not distinguish between materials”. Using highly composed framing, stark illumination and a drony soundtrack, Beloufa incarnates these locals as messengers from the future, turning the notion of an underdeveloped Africa on its head. In this world, we – that is, we western viewers – are the outsiders, the ones who’ve been left behind. “Man has changed,” one of these seers announces. “Humanity has evolved”. Jean Rouch would be only too pleased. Rouch is a good segue into two films by Ben Russell, demonstrating the productive relationship between performance and representation. Russell presented these films, shot in Suriname where he served in the Peace Corps, in his program Recent Anthropologies. 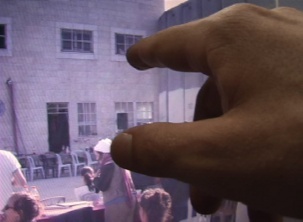 Daumë (2000) is a game between filmmaker and subject, coloniser and colonised. A white man wears a clown mask that a black man repeatedly claims for himself. Actions are repeated in reverse or from several angles, complicating the viewer’s perspective. The two characters exchange comic blows and insults while a third, the camera, plays for both teams. The troubling of the filmmaker’s gaze has been a theme of ethnographic film for decades, but Russell’s playful approach feels fresh and promising. So it’s exciting to see how these ideas have developed in the longer Tjúba Tén (The Wet Season), made in collaboration with Brigid McCaffrey. The film has a very simple formal strategy, simultaneously highlighting the performative nature of events for the camera, and the collaborative relationship of the subjects and filmmakers. Unlike in Daumë, sound is synchronous, but pre-roll (1) plays over black prior to the scenes. Subtitles, in both English and the local language Saramaccan, appear only during these interstices. Here the filmmakers and subjects discuss what will be filmed, the women often announcing what they will do for the camera, how, and why. In the scenes that follow, each presented on one unedited roll of 16mm, static framing and long takes exact strict control over what we see: a woman spinning thread on a porch, men fixing an outboard motor, a woman braiding a young man’s hair as he holds a baby. In subtle and dramatic ways, the information we receive between scenes alters our understanding of the images. The viewer-object dynamic begins to slide from under us, and the film’s subject becomes our own gaze. In her program The Ukrainian Time Machine, Naomi Uman offers more intimate renderings of this exchange between perception and representation. In these deeply felt films, Uman introduces us to the small village that she has adopted as her home in the former Soviet republic, where she found people living in much the same way as they were a century ago. The silent Kalendar presents a chronology of seasonal observations such as victuals, flora and quality of light. Uman’s lucid eye observes texture and detail, her own hand intervening in the frame as a flower is held up to the lens (“April”) or a cup of tea is poured (“July”). The result is a record of the filmmaker’s assimilation into a new universe of referents, as well as an invitation to the viewer to experience this entrancing shift with her. Unnamed Film brings us into the social realm, documenting villagers’ work and leisure activities. Pastoral scenes are grounded in text addressing the harsh economic reality of life there. In an even more restrained exercise in selective translation than Tjúba Tén, Uman eschews subtitles altogether, offering only brief synopses of dialogue via intertitles. Sound is loosely synched, a practical consideration that further underscores the tentative relationship between subject and object. Another remarkable dual portrait of place and experience, Dani Leventhal’s Skim Milk and Soft Wax, plunges us into the uncertainty, confusion and intense emotion encountered on a trip to Israel and Palestine. Unapologetically wielding her video camera, Leventhal films strangers and her own family with exceptional candour. Sound from the built-in microphone emphasises the immediacy of the moments she strings together, from watching television to being scolded on a street corner by her father. Of the latter she draws a complex portrait; his politics seem to encompass the conflicts of the region, as he goes from one moment assailing a Hasidic woman for her narrow-minded conservatism, to the next ridiculing an Israeli soldier for sympathising with Palestinian civilians. Her father’s exasperation extends to his daughter and her camera, and indeed, their relationship becomes the crux of the film. In one telling scene, the two sit across from each other at an outdoor café, and Leventhal insists on filming his pupil. “I take her for an Israeli experience and she just wants to film my eyeball”, he complains, only half in jest. “I wanna see in there”, she replies. Family is her point of entry, but formal transparency is the key to Leventhal’s complex, deeply affecting video. After concentrating on work by people in foreign places, it would be circumspect to point out two filmmakers who bring the critical perspective of an outsider to their own lands. With their new films, Americans Deborah Stratman and Lee Anne Schmitt turn an unflinching eye toward the construct of national identity in the United States. In Oe’r the Land, Stratman leads us on a cross-country tour of sites and spectacles exposing a near-fanatical obsession with war and its requisite partner, heroism. Between the shallow nationalism of an RV salesman and the orgiastic nocturnal firestorm of a Kentucky shooting range, we find consolation in Stratman’s distinctive, deadpan framing, which as always offers a healthy modicum of reflective distance – and humour. Where Stratman supplies apocalypse, Schmitt arrives the morning after to sift through the wreckage. California Company Town catalogues her journey through the detritus of the American Dream: towns constructed to accommodate corporate enterprise, living, but mostly dying, by their successes and failures. In a voiceover by turns indignant and tender, Schmitt lays bare the false benevolence of an economic system based on the exploitation of labour and land. As the evidence accumulates, we fear our own collapse under the increasingly unbearable weight of history. Whether appalling, outrageous or absurd, the reflections in the mirrors held up by Stratman and Schmitt are hard to ignore. Timely investigations of ritual and tradition, these films thwart escapist nostalgia by revealing that there was never any innocence from which to fall. Finally, with all this talk of decay and destruction, I cannot resist mention of Peter Liechti’s new film, world premiering as part of a retrospective program devoted to the Swiss documentarian. Part essay, part snuff film, The Sound of Insects: Record of a Mummy is constructed around the voiceover of a man reading daily entries from a journal that record the slow, painful process of his own suicide by starvation. Liechti illustrates this monologue, based on a novel about an actual incident, with meditative images of a remote woods interspersed with the hard forms of an urban environment. These are somewhat obvious points of reference – the former alluding to the location where the man’s body was eventually found; the latter, the life that he left behind. (2) But together with Tania Stöcklin’s deliberate editing and Christian Beusch’s restrained soundtrack, Liechti succeeds at creating a gripping, psychological viewing experience. We begin straining to comprehend the inconceivable, in spite of ourselves, and even in the more repetitive moments, it is impossible to stop watching. As an effort to translate experience – albeit, the ultimate experience – The Sound of Insects is in good company with other films mentioned here. It seems that the most affecting might be those that approach their subject matter with a sense of wonder, and are allowed to unfold as journeys of mutual discovery. These are the most generous movies: the ones that draw outsiders in. Sound that precedes the start of the image. I find it interesting that Liechti’s film comes on the heels of another about suicide by starvation, Steve McQueen’s Hunger. It’s perhaps worth noting that, aside from the obvious formal differences between the two movies, McQueen’s character has a clear political motivation for his act, while the impetus of Liechti’s remains obscure.